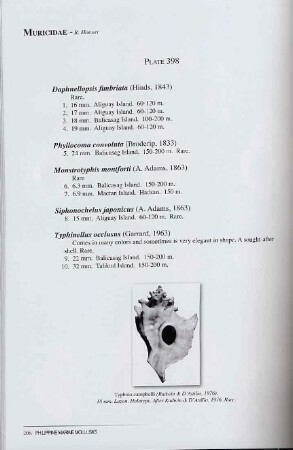 This beautiful book continues where volume one leaves off in the standard taxonomic order. 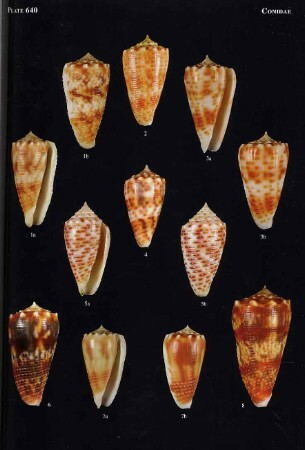 It begins with the Buccinidae and ends with the Cancellariidae and includes such popular families as the Muricidae, Volutidae and the Conidae. 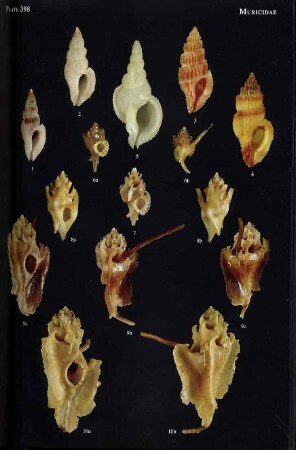 This is (as is the first volume) and outstanding book and it is certain that this set will be the standard reference work on the great number of shells found in the Philippines. I think that all of us should offer a big "thank you" to Mr. Poppe and his staff and to the publisher for making this book possible. 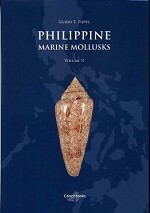 It goes without saying..buy this book...you won't regret it.